Australian Cattle Dog Temperament: Do You Want To Know About It? 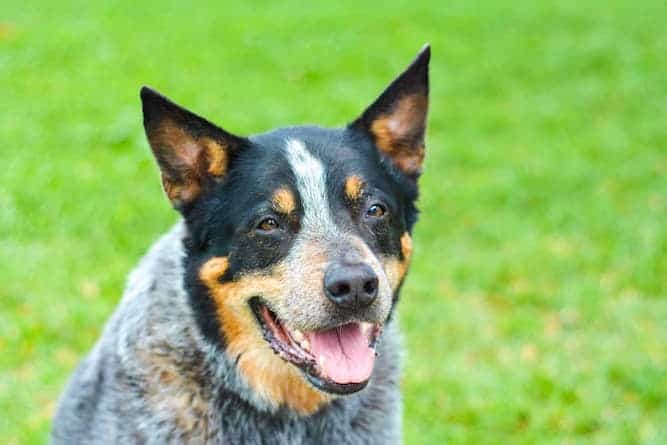 You may have heard good and bad things about the Australian Cattle Dog temperament, but how do you know what is fact or fiction? 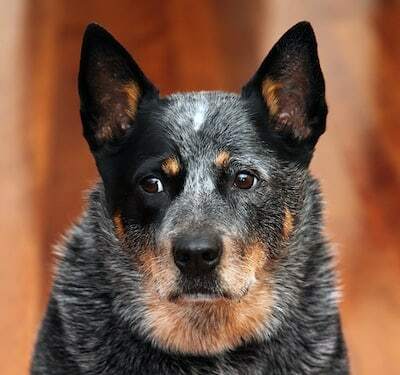 Read on and you will discover the truth about the Australian Cattle Dog temperament. One of the last true working dog breeds, the Australian Cattle Dog or, more simply Cattle Dog, is as intelligent as it is hardy. Its reputation, however, may have you wondering if this is really the right dog for you. Bred originally to herd cattle across the vast planes of Australia, farmers still use Cattle Dogs today as working dogs on ranches and farms. However, they can also be the ideal loyal companion, under the right conditions. In other words, the Australian Cattle Dog temperament requires the right type of home life. They can live to be between 13 and 15 years old. They weigh between 30 and 35 lbs. The average Australian Cattle Dog size ranges from 18-20 inches tall for males, and 17-19 inches tall for females. How Do They Get Along with People? Australian Cattle Dogs tend to be one-person dogs. Their independence means they are not the kind of dogs who enjoy cuddling on the couch and watching TV with you. This does not, however, mean they don’t enjoy spending time with you. They just enjoy their time with you in a different way than dogs who like to cuddle. The loyal Australian Cattle Dog temperament makes him a companionable animal who is devoted to his family. The cautious Australian Cattle Dog temperament makes him smart. He doesn’t just rush into a situation. He makes sure he knows what’s going on before he decides on what his next court of action will be. The protective Australian Cattle Dog temperament makes him a fantastic watchdog. This is especially true because he does not bark unless something important is going on. In other words, this the type of dog that, when he barks, you pay attention, because he’s not barking for no reason. The energetic Australian Cattle Dog temperament comes from his herding instinct. You need to be fast to protect those flocks! Obedience is something the Australian Cattle Dog loves to practice. This makes training him easier than if you were to train another dog from a different breed. The brave Australian Cattle Dog temperament is another trait that comes from his herding days. You need to be brave to stand up to those who threaten your flock, and the same holds true for his family. The Australian Cattle Dog temperament can be a problem if you don’t socialize him properly. Unsocialized Cattle Dogs may become aggressive toward other dogs later in life, and they can be very territorial. Because of his innate herding instinct, your Australian Cattle Dog may attempt to herd other members of your family, including your kids and your cat! It is important to understand that this herding instinct can cause problems when you are trying to integrate a cattle dog into a family containing other pets. To a Cattle Dog, if it moves, he should chase it, and that chasing can end in a nip. And nipping can spell trouble for smaller animals that the Cattle Dog may see as prey. Exercise: A Busy Australian Cattle Dog is a Happy One! While you can never fully train an Australian Cattle Dog not to herd, you can help him learn to control it. The trick to enjoying the Australian Cattle Dog’s temperament is to find activities that stimulate him physically while also challenging him mentally. A quick walk around the block is not going to cut it for an Australian Cattle Dog. Remember, their ancestors spent long, hard days under the Australian sun! A nice, long hike is the ideal workout for this breed. If you’re wondering, “do Australian Cattle Dogs like water?”, the answer is that they don’t just like water…they love it! If you love to swim, take him with you, as this is a great way for him to get a full-body workout. You need to challenge an Australian Cattle Dog on a regular basis. Consider checking with your local dog club to see what sort of canine sports are available in your area. Since you likely do not have a herd of cattle on hand, consider checking with your local dog club to see what sort of canine sports are available in your area. 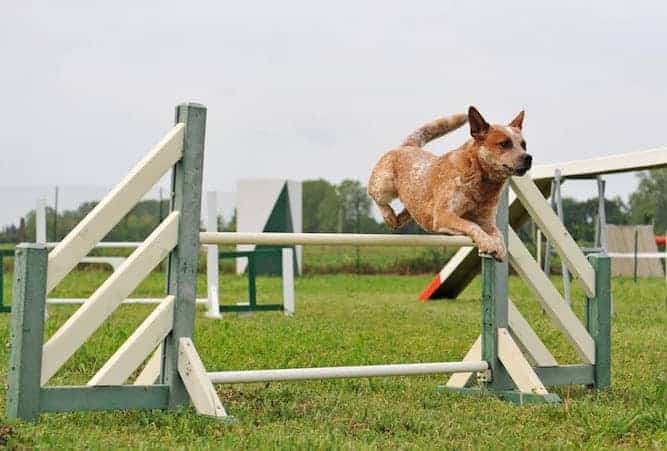 Sports such as Rally Obedience and Flyball are exceptionally well suited to the Australian Cattle Dog’s temperament and intelligence. All dogs need to be socialized, but this is especially important for a territorial dog like the Australian Cattle Dog. Exposing these dogs to as many people and other dogs as possible at an early age can make him a tamer and more trustworthy companion. 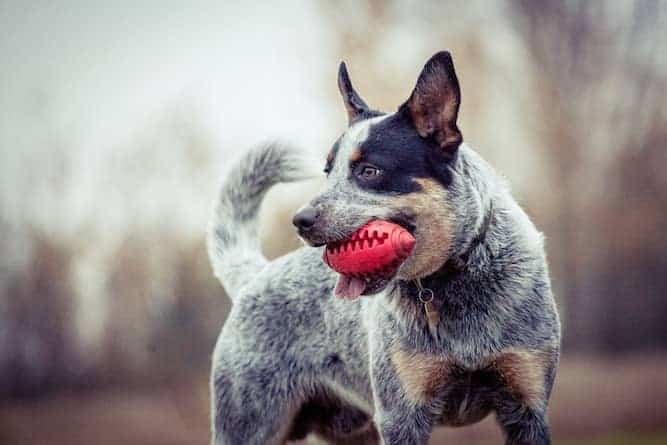 Cattle Dog owners also find that providing their dogs with sturdy toys can help keep his instinct to nip anything that moves to a minimum. Because the Australian Cattle Dog has a history of working outdoors, his coat has adapted over the years to protect him from harsher weather. His coat has no odor, and it doesn’t really get dirty. You only really need to bathe him occasionally. As far as an Australian Cattle Dog shedding is concerned, you need to brush him about once a week to keep him looking his best. He sheds his undercoat about twice a year, so you need to brush him multiple times a week during shedding season. and blue are his only options. In general, the Australian Cattle Dog is a healthy, hardy breed. In fact, the oldest Australian Cattle Dog on record lived to be a whopping 29 years 5 months old! However, there are a few issues that these dogs have a genetic predisposition toward that you should be aware of. The inherited disorder known as Progressive Retinal Atrophy affects a dog’s retina. Dogs with PRA are genetically predisposed to blindness. Not all Australian Cattle Dog puppies are prone to PRA, but it can become a problem in certain bloodlines. Hip dysplasia is a degenerative disorder of the hip joints that can be very painful. While this is an inherited condition, there are several things you can do to help keep a Cattle Dog up and running for as long as possible. Make sure he eats a healthy diet, has plenty of exercise, and sleeps in a warm, soft sleeping area. Note: if you agree that your health and your dog's health should be a top priority then get a copy of The Ultimate Guide to Dog Health. Your Australian Cattle Dog will love you for it. This guide will help save you money, time and most of all help you keep your dog healthy. So you've decided that you're up for the challenge of adding an Australian Cattle Dog to your home. That’s great! 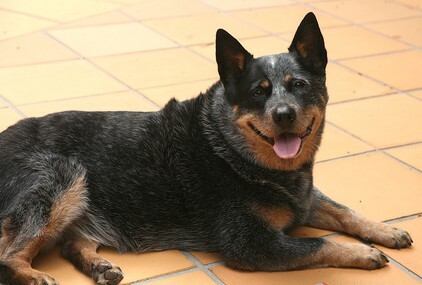 You can find Australian Cattle Dogs for sale either from a breeder or through a rescue or adoption agency. The average Australian Cattle Dog price is between $500 and $700. As far as puppies go, the Australian Cattle Dog cost is less than your average purebred. If you want to adopt an Australian Cattle Dog puppy, you may be able to find one at your local animal shelter. An Australian Cattle Dog for sale from a breeder will always cost hundreds of dollars more than an Australian Cattle Dog rescue. An adoption is a good idea if you don’t have patience to train a puppy out of his destructive behavior phase. 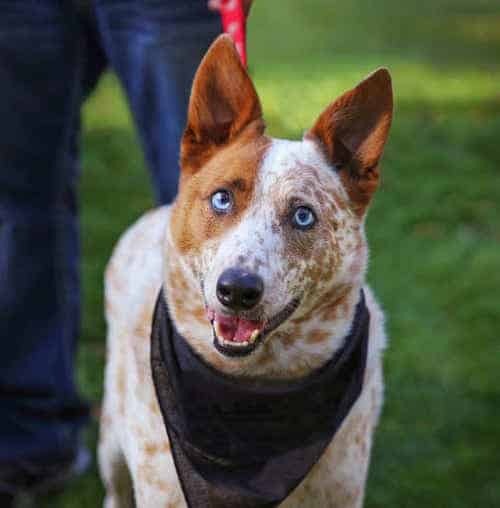 If you think the idea of an Australian Cattle Dog mix is simply beautiful, then adoption is your best bet there, too. Breeders tend to specialize in purebreds only. 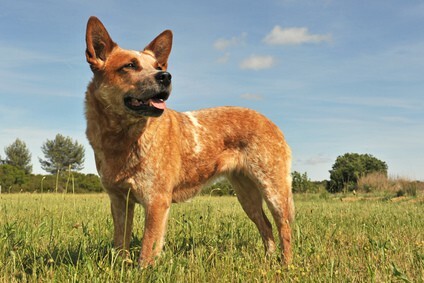 Some Cattle Dog breeds are only available through breeders. For instance, you are less likely to find a miniature Australian Cattle Dog at a shelter than if you were to go out and purchase one. Breeders are also a good way to find out more Australian Cattle Dog info, since they are supposed to be experts on the breed. A breeder should be able to answer questions ranging from the history and temperament of the dog, to more detailed information about the breed’s health concerns. Is the Australian Cattle Dog Right for You? If you live in an apartment, are away from home for long periods, or are looking for a lapdog, then the Australian Cattle Dog temperament is not for you. On the other hand, the Australian Cattle Dog’s temperament is perfect for you if you are looking for an energetic dog to help keep you active. You must, however, be able to offer him the time and patience necessary to keep his superior mind challenged and entertained.